Interested in Patchwork and Quilting but not sure where to start? Made a few things, but want to brush up on your skills and see what else you might like to try? Let's begin with some traditional blocks to build your skills and use a different setting to make a couch throw size quilt. 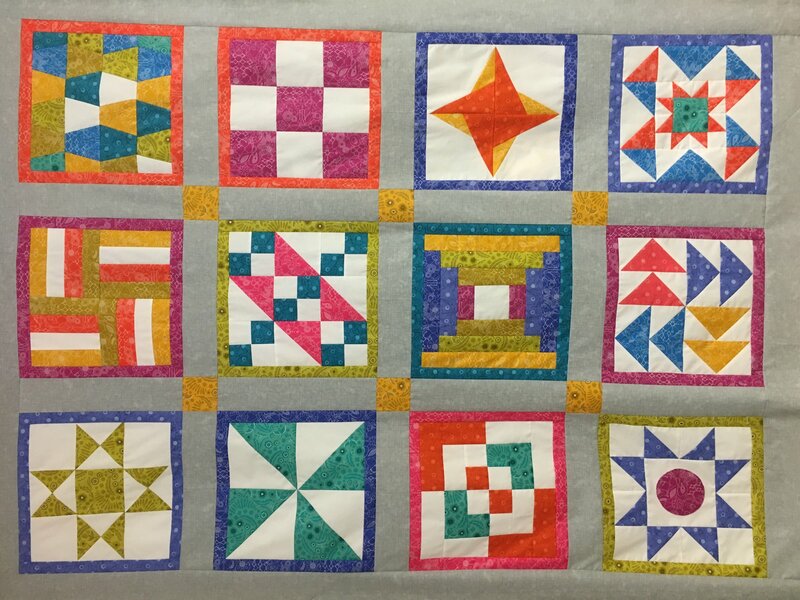 We will start easy and keep going in order to try many techniques used in the most popular quilt patterns to give you the confidence to accomplish anything. Choose your fabrics for the child in your life, a guy you want to keep warm, your favorite holiday, or something to match you couch! We will meet four times, usually two weeks apart. You will have home-fun (not homework) sewing to do in between classes. Pick either our Saturday classes or our Wednesday evening classes.